Summerlin Hospital Medical Center has been certified as an Advanced Primary Stroke Center by The Joint Commission. The Joint Commission's Certificate of Distinction for Advanced Primary Stroke Centers recognizes centers that make exceptional efforts to foster better outcomes for stroke care. 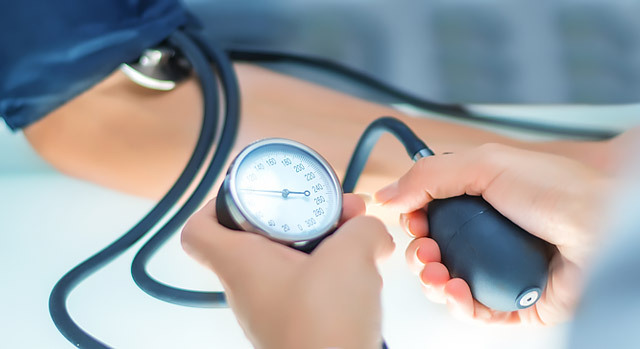 To achieve certification for one year, stroke centers must demonstrate that they comply with standards, clinical practice guidelines and performance measurement activities. To maintain certification, a stroke center must attest to continued compliance with standards and evidence of performance measurement and improvement activities each year, pass an on-site review conducted every two years and complete a bi-annual submission of an acceptable assessment of compliance by the organization. A stroke is what occurs when blood flow to the brain is blocked or stopped. Within a few minutes of a stroke, brain cells begin to die. According to the American Heart Association, stroke is the third leading cause of death in the US and can lead to long-term disability. Problems that can arise include weakness in an arm or leg after a small stroke to paralysis and loss of speech in larger strokes. This is why it's so important for someone who is having a stroke to get medical attention as quickly as possible. Stroke affects about one person every four minutes in the US, according to the Centers for Disease Control and Prevention. If you or someone you're with has any of these symptoms, call 9-1-1 immediately. Staff in the Emergency Department will administer acute stroke medications to try to stop a stroke while it is happening. Ischemic stroke, the most common type of stroke, is treated with the 'clot-busting' drug known as tPA. The drug must be given to patients within three- to four-and-a-half hours after the onset of stroke symptoms, and preferably sooner.